Are eBay's New Features Cool Enough for Etsy and Amazon shoppers? 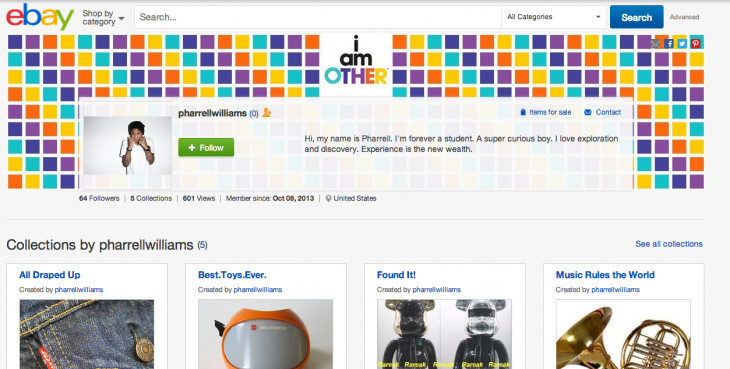 Are eBay’s new features cool enough to compete against Etsy and Amazon? Since eBay’s major redesign last year, the company has worked overtime to shed its reputation as an auction marketplace and more of center for all things e-commerce. With the announcement of its Shutl acquisition, eBay wants to give shoppers the Amazon experience of being able to purchase items within a few clicks, and get it delivered by a local courier service. The newly announced features also let major retailers like Best Buy and Toys R Us sell via eBay and offer in-store pickup. But perhaps its biggest migration toward the most influential online shoppers – young, fashion-forward bloggers and stylists – is its Collections feature. By allowing members to create buyable collections, the site aims to create the type of engagement typically found on Pinterest or Etsy, but in a buyable option that gets these items delivered as if members bought them off Amazon. eBay has even appointed its first Editorial Director to curate collections straight onto the users’ personalized homepage. The idea is that users won’t have to type a single word to innately discover new products, just like one would on Spotify after listening to a few songs. Of course, eBay’s still eBay – when you think of unique fashion finds, the site might not be your first destination for one-of-a-kind pieces from local artisans. To help revamp that image, eBay’s got hip hop moguls Pharrell and Solange to create shoppable collections and build buzz around its new features. In fact, it seems like this was the only portion of the announcement people woke up for. eBay’s cool factor is definitely getting a much-needed boost, but will all this actually bring the site’s $1 trillion commerce to its intended $10 trillion goal? Compared to Etsy’s hip layout and Amazon’s efficiency-focused mission, that sweet spot in between might just be what eBay needs to attract both sides of the consumer spectrum. Or it could too boring, even with superstar endorsements. It’s hard to predict how this effort will play out for the company, but you can’t fault it for trying.